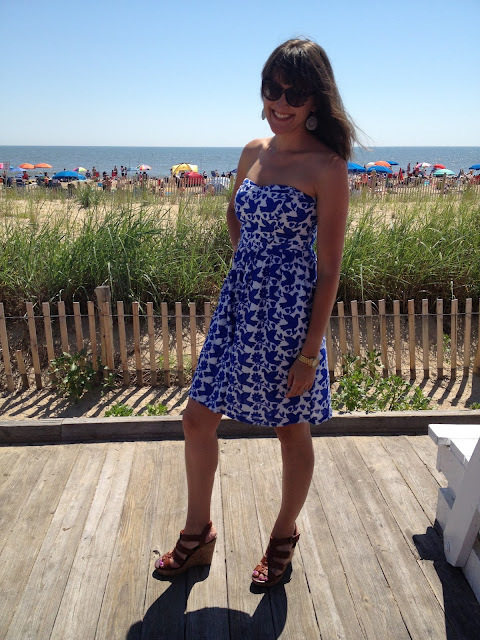 The Flower City Fashionista: Want Easy Summer Style? It's one piece, therefore a no-brainer. And it can be dressed up or down: think flip flops/flats vs. wedges/heels. Note: If you follow me on instagram, you'll know that this outfit is SOOOOO 2 1/2 weeks ago. Deal. Dress + sunnies + wedges + jewelry = easy summer style. The details: Dress is Old Navy. Wedges from Target. Madewell sunnies. Miscellaneous jewelry. What about you? What's your idea of easy, summer style? If you don't check back here tomorrow (which you totally should - I'll be wearing something a tad ridiculous) have a great 4th of July weekend and be safe!